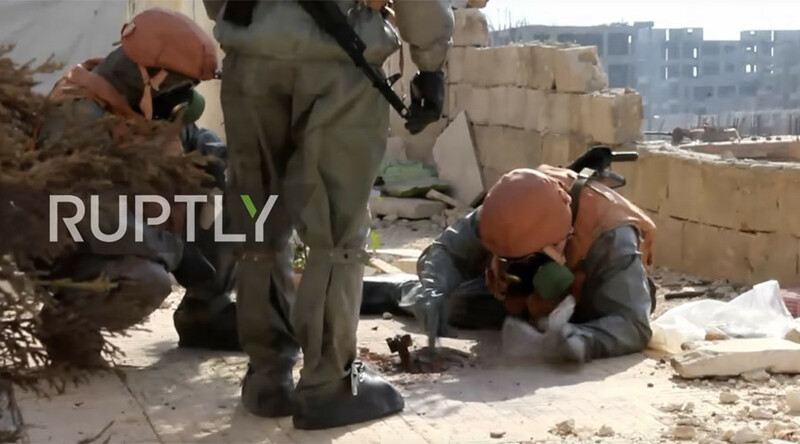 Russian military experts have found unexploded shells indicating that terrorists in Aleppo have been using chemical weapons in their regular attacks on civilian and Syrian government-held areas of the city, according to a Russian Defense Ministry statement. "While conducting reconnaissance in the ‘1070’ area [south-western suburbs of Aleppo], the officers of the scientific center of the Russian Troops of Radiological, Chemical and Biological Defence (RChBD) have found evidence of chemical weapon use by terrorists against the civilian population and Syrian servicemen," spokesperson for the Russian Defense Ministry Maj. Gen. Igor Konashenkov said in a statement early on Friday. At least two people were killed and dozens injured as a result of the attack in the '1070' area of the city, the Russian military added. Traces of chlorine and white phosphorus were detected during initial analysis of the samples. "After conducting an express analysis in a mobile laboratory it was determined that the toxic substances that filled the militants’ artillery ammunition were with high probability chlorine and white phosphorus," Konashenkov added. Neighborhood ‘1070’ recently fell under the control of the Syrian army. However, the area continues to be shelled. Those delivered to the hospital experienced respiratory problems, exhibited by choking and coughing, and experienced visual disturbances. Starting from September the Russian General Staff warned that terrorist groups might use chemical weapons against civilians and the army in Aleppo. It then alleged that the blame would be pinned on Damascus to further undermine the crumbling peace process in the war-torn country. That month, the Syrian UN envoy Bashar Jaafari also told the UN Security Council that militants from the hardline Ahrar Al-Sham Islamist group planned to use white phosphorus in an attack on civilians. In late October, Syrian state media said that poison gas was fired at a government-held area of Aleppo, causing massive respiratory problems among the local population. The symptoms among the 15 who were injured point to the use of a highly toxic chlorine gas, a local doctor told RT at the time. Militants reportedly used the poisonous gas in an attack on the Assad Military Academy in the Assad Suburb in western Aleppo at the time when Russian and Syrian government forces halted strikes on rebel-held positions in the city, hoping the initiative would lead to a long-awaited ceasefire. Russia halted its air strikes in Aleppo, which remains split between the Syrian government forces and the terrorists, on October 18, and has been regularly organizing 10-hour “humanitarian pauses” in the city. The UN review panel previously said that Damascus was responsible for using chemical weapons on civilians. While Russia said that the latest conclusions of the fourth report released by the Organization for the Prohibition of Chemical Weapons (OPCW) and the UN’s joint Investigative Mechanism (JIM) was questionable, it still held responsible for using prohibited weapons. The report published in October provided assessments on the three pending cases, namely Kafr Zita (April 18 , 2014), Qmenas (March, 16 2015) and Finnish (March 24, 2015). 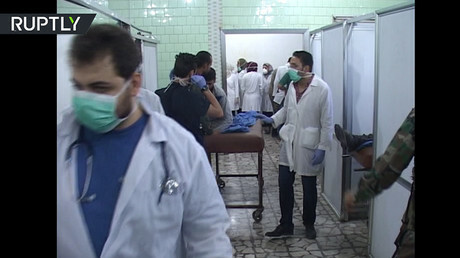 Unable to determine who was responsible for two other chemical weapons attacks, the fourth report accused the government forces of carrying out the chlorine gas attack in Qmenas, in Idlib province. 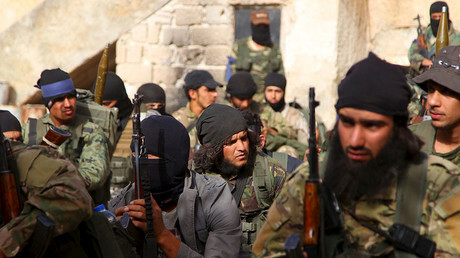 The use of chlorine as a weapon is prohibited under the 1997 Chemical Weapons Convention, which Syria joined in 2013, after a Russian diplomatic effort. In January of this year, OPCW confirmed the destruction of all chemical weapons declared by the Syrian Arab Republic.